The ECO1003 A photoelectric smoke detector belongs to System Sensor’s ECO1000 range of detectors. ECO1000 is a range of conventional detectors, which have been produced using the latest in manufacturing technology and supplied with an array of advanced features, making them ‘better by design’. 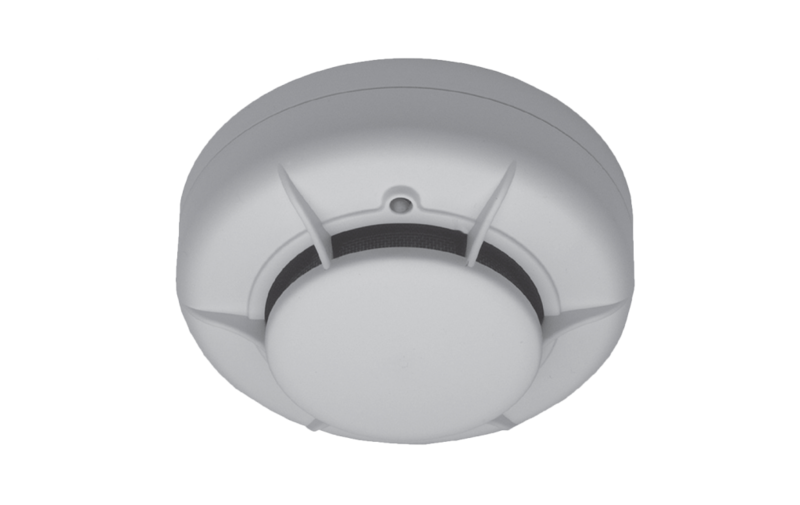 The ECO1003 A photoelectric smoke detector uses a state of the art optical chamber combined with an application specific integrated circuit (ASIC) to provide quick and accurate detection of fires. A combination of the unique chamber design and other technically advanced features will significantly extend the service intervals before cleaning of the detector becomes necessary. A laser-based hand held Remote Test Unit can be used in conjunction with the range of ECO1000 detectors for alarm test purposes. The unit transmits a coded message, preventing spurious alarms being generated by other laser-based devices. With a range of several metres, the hand held test unit provides a fast and simple way of remotely alarm testing the range of ECO1000 detectors and removes the need for any direct physical access to the detector by the user. The ECO1003 A detector has an integral LED, which illuminates to provide a local alarm signal. This latches on, and remains illuminated until the detector is reset by a momentary power interruption. An optional remote LED annunciator may be used to repeat any alarm signal. A variety of detector bases can be used with the ECO1003 A detector, providing application flexibility and compatibility with a wide range of Fire Alarm Control Panels. All bases are fitted with a shorting spring to permit circuit testing prior to fitting the detector and have a tamper resistant feature, which when activated prevents removal of the detector without the use of a tool. All System Sensor products are covered by our extended 3-year warranty.